The Titleist 913D3 driver features a 445cc classic pear shaped titanium head that delivers tour inspired workability with distance and forgiveness. 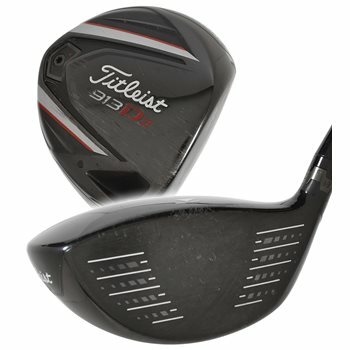 It features a high-speed forged face insert which delivers more speed over a larger area of the face. An improved CG location and rear SureFit Tour weight creates more distance by optimizing the launch and reducing the spin. The SureFit Tour hosel technology allows the player to make independent loft and lie adjustments for the most precise fit possible. The clubhead features a rich black finish and delivers a superior sound and feel unlike any other. This driver is slightly smaller and delivers a slightly lower launch angle and spin rate as compared to the 460cc 913D2 driver. Review by JMo, 2 years ago.